The mission of Reviv Med Spa is to provide our patients with the safest cutting edge technology for skin rejuvenation and aesthetic improvement. We believe that ultimate health requires treating the individual from the inside out. Reviv Med Spa provides health and wellness education and individual genetic and metabolic testing, so that our clients can experience optimal health and appearance. 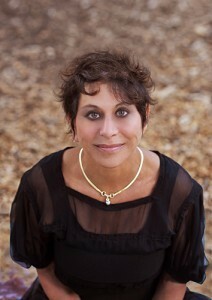 Dr. Gayle Misle is a graduate of the University of Nebraska College of Medicine. She was an Intern and resident in the Department of Anesthesiology at The University of Nebraska and the University of California at Davis. She was the Chief of the Anesthesia department at San Leandro Hospital and was the Director of Anesthesiology at San Leandro Surgery Center. Dr. Misle is a member of the American Academy of Antiaging Medicine as well as a participant in the Fellowship on Antiaging Medicine, and the masters program for Antiaging Medicine. She has completed comprehensive training programs for aesthetic procedures and laser systems, including Smartlipo, Sciton Profractional, Skintyte, Microlaser peel, intense pulsed light treatments, Cynosure Elite, hair removal, vein treatments, and pigment lesion therapy. She attended courses for Cynosure Affim skin tightening and wrinkle reduction system, sclerotherapy training for spider veins, Exilis, rich plasma skin rejuvenation and HCG hormone balance.